125 records found. Page 11 of 13 displayed. Dave Robinson took this photo high above Grasmere on 4 March. His passenger is Lucie from the Czech Republic. The other wing is piloted by Sarka Teskova (Czech Republic). The view is looking down to Grasmere with the village on the right and the lake on the left. 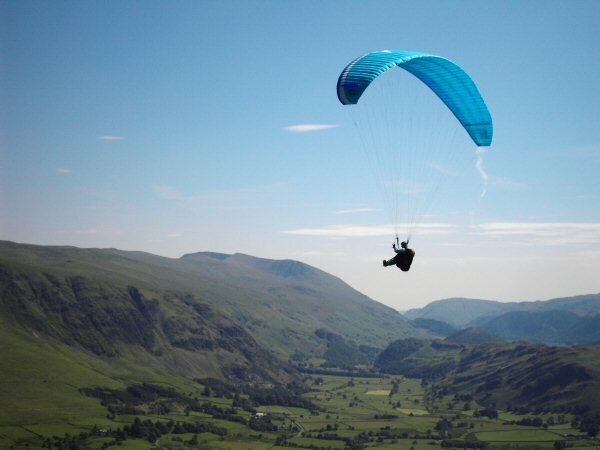 Dave reports that it was "A good day with big wide tandem friendly thermals !!" 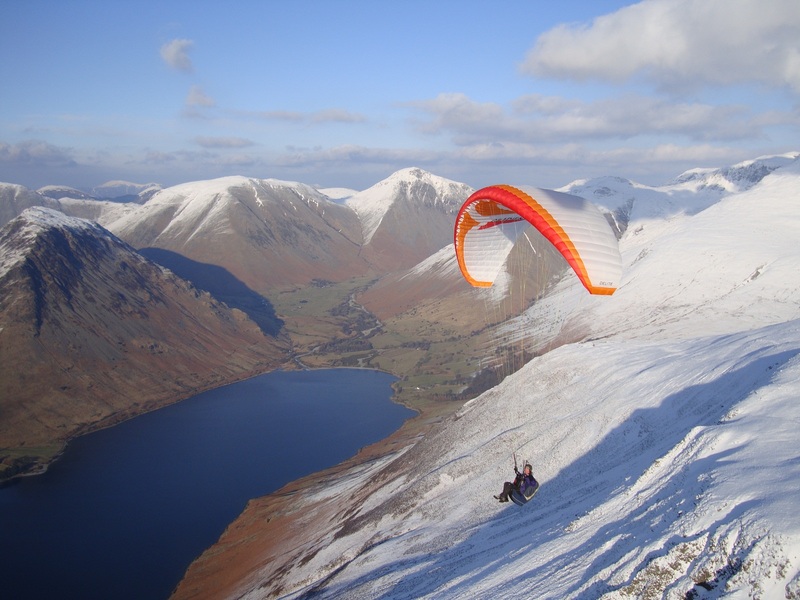 Dave Ashcroft took this picture over Wastwater Screes on Friday 19 February 2010. Paul Clarke is the pilot and the view is looking to the head of Wasdale with Great Gable just to the left of the glider. 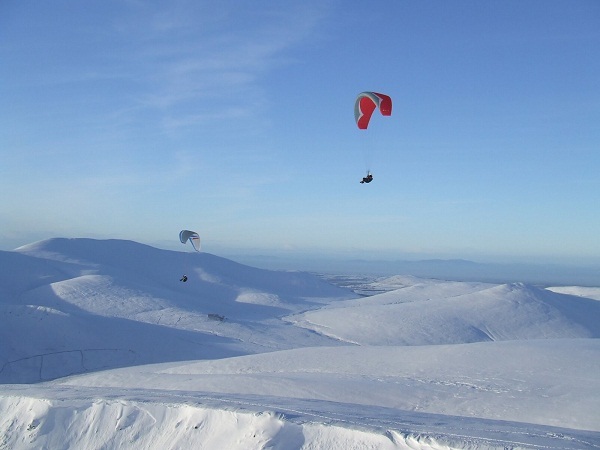 January started with clear skies and lots of snow. One of the difficulties in flying was getting to take off and the cold! 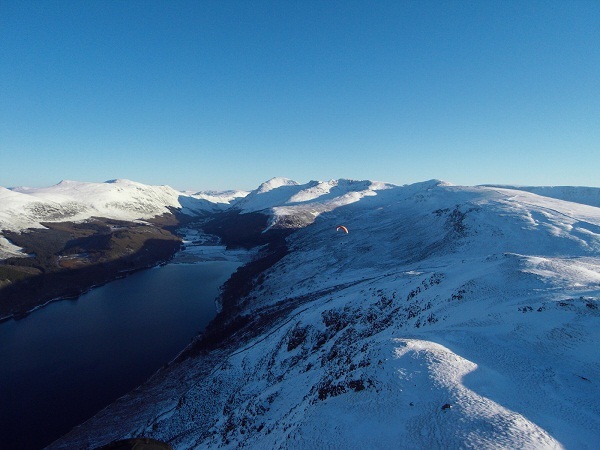 Here, Pete Rycroft can be seen in Ennerdale with Pillar as the highest peak on the skyline. Photo by Ed Cleasby. 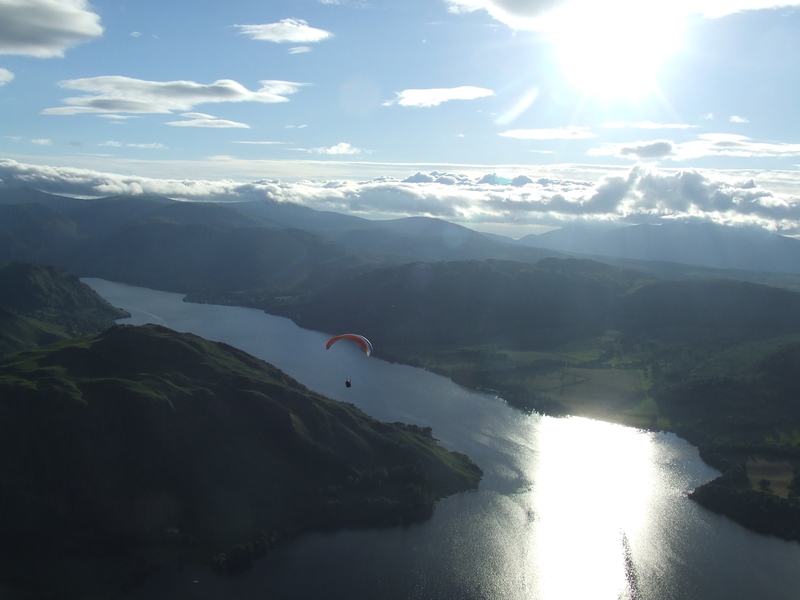 November has been a difficult month for free flying Cumbria with high winds, extensive rain and flooding dominating the month. 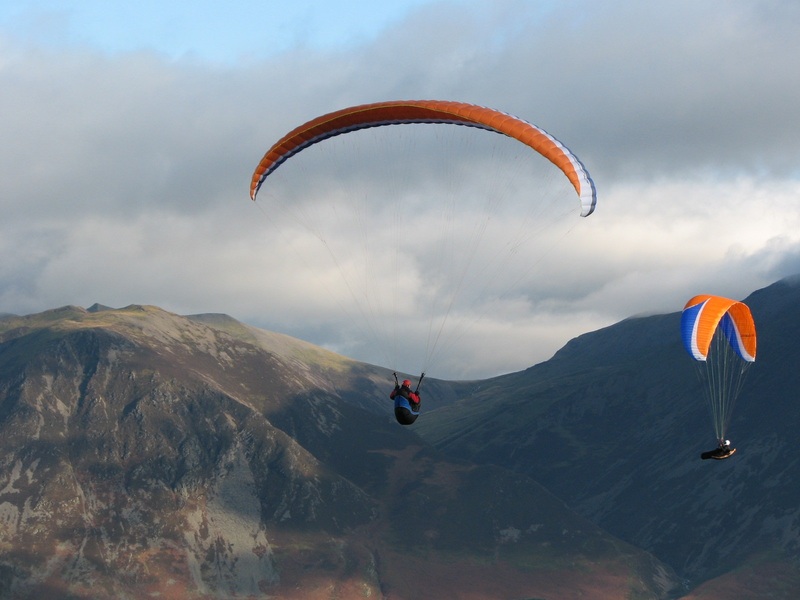 However on Sunday 8 November, a gaggle of CSC pilots congregated at Burnbank for a splendid autumn day's flying. Here is Lance Greenhalgh in action with Coledale Hause in the background. 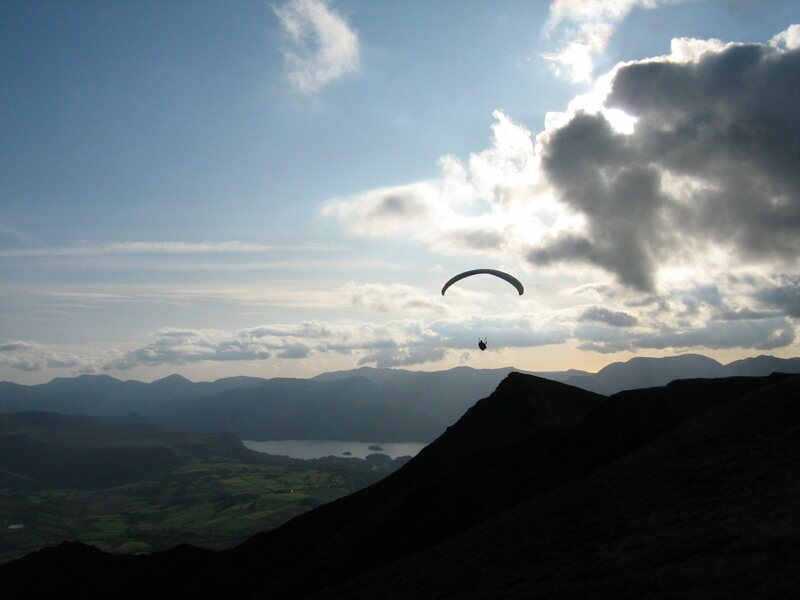 Monday 5 October on Blease Fell looking to Derwent Water and the SW. Pete Lloyd reports "A beautiful day, very light winds which picked up slightly at around 4 in the afternoon and gave us all a wonderful afternoons flying back and forth along the ridge to the summit of Blencathra. 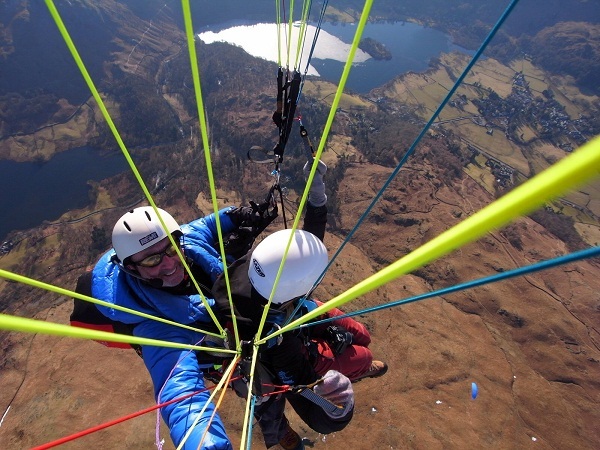 Dave Robinson is the pilot and the photo was taken by Chris Lloyd. October has been a mixed month with good days when you didn't expect them. To get the best days, you needed to have a flexible lifestyle! Sunday 20 September was a glorious day. Roy Richards took this picture at Brigsteer. 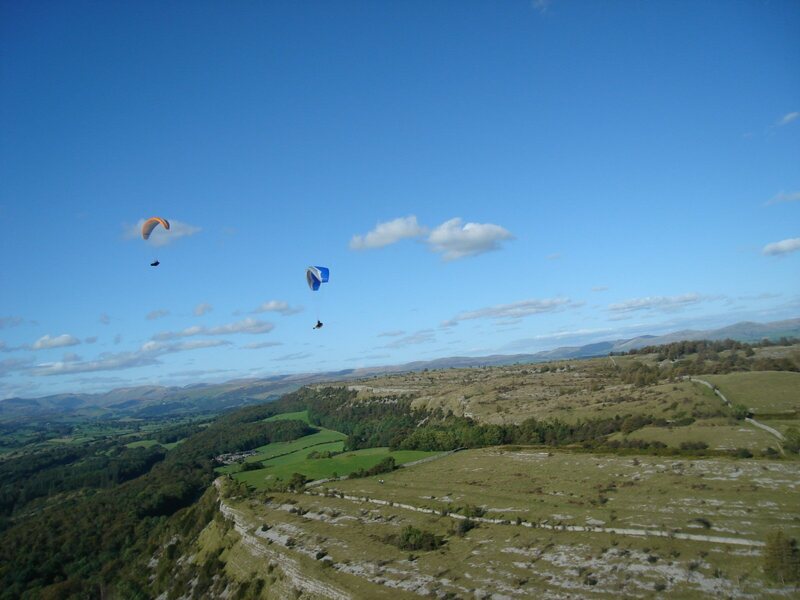 Chris Greenwood can be seen above Steve Kitchen above the crags at the north end of the site. Stuff the Med - you can't beat Cumbria (except when it's raining)! 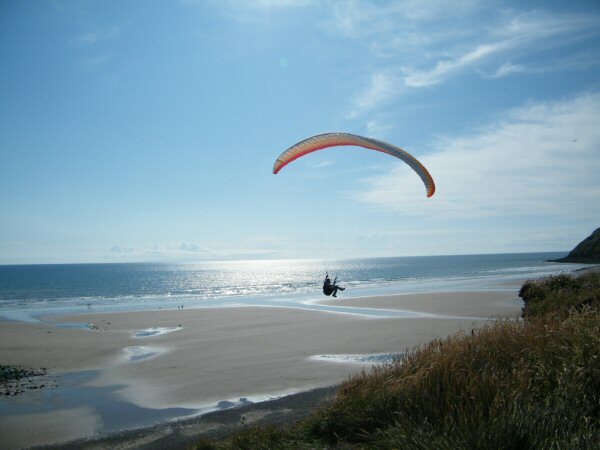 On a glorious summer's day, Pete Rycroft on an Airwave Mustang 2 flies at St Bees. Photo by "Chevron".